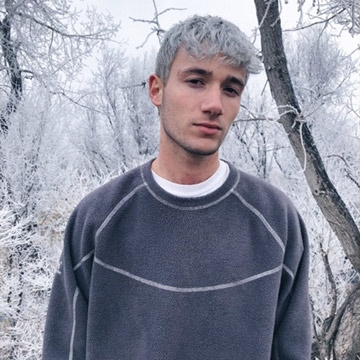 Jeremy Zucker - Before entrancing listeners across the world, singer, songwriter, and producer Jeremy Zucker had been quietly carving out his distinct sound from a bedroom in suburban New Jersey. A fusion of organic airy beats, lush soundtrack-style soundscapes, and biting tumblr-worthy lyricism, Zucker’s catalog is eclectic: equally care-free and effortless as it is introspectively cathartic. In 2015, Zucker released his first official EP entitled “Beach Island.” The project saw a small amount of success and from there Zucker steadily began to build a dedicated fan base. Later that year he released a number of singles that would eventually be packaged together as an EP titled “Breathe.”. In 2016 Zucker released his third EP, “Motions,” the most prominent of the three projects, which continued the momentum of his quickly growing profile. After signing to Republic Records in 2017, he released his major label debut EP, “idle”, led by his breakthrough single “talk is overrated”. The single features Blackbear and has over 16 million streams on Spotify since its release. He kicked off 2018 with his most recent EP “glisten”, including the single “all the kids are depressed”, which was featured on The New York Times.